Mr. Excavator has made and continues to make significant investments in state-of-the-art equipment, tooling and technology. However, this equipment and technology is only as good as the people operating the equipment or utilizing the technology. 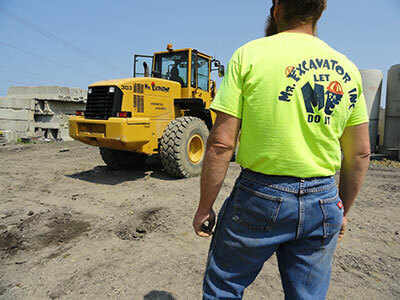 As such, Mr. Excavator is always on the lookout for talented individuals with a strong work ethic to join our team. Whether in the field or in the office, we promote a safe and enjoyable work environment. In addition, we offer our employees an opportunity to grow and advance their careers. Mr. Excavator is an equal opportunity employer. 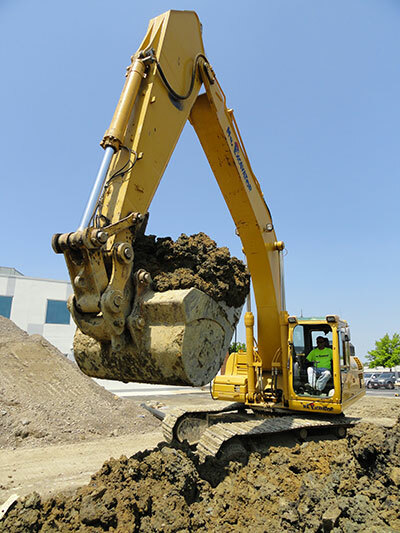 Field: Mr. Excavator employs union operators and laborers. We provide our workforce with the proper tooling and equipment to perform their work safely and efficiently. Safety is paramount! In addition to providing the proper safety equipment, we also provide our workforce with safety training and monitoring on a continuing basis. Office, Shop and Yard Support Staff: Mr. Excavator offers competitive compensation packages with fringe benefits including medical, dental, vision, 401K and profit sharing, vacation and other incentive-based programs. Complete and submit your application and email your completed application to Elizabeth Miranda at emiranda@mrexcavator.com or use the form to the right to upload and send your application to Mr. Excavator.